After months of anticipation, America's favorite book will be revealed Tuesday. The Great American Read's grand finale will air at 7 p.m. Tuesday on Panhandle PBS. In this region, a concurrent vote has been held to determine the Panhandle’s favorite book. Voting for The Great Panhandle Read will end at 11:59 p.m. Wednesday, and the result will be announced Thursday. Click here to cast your vote between the Harry Potter series and To Kill a Mockingbird. 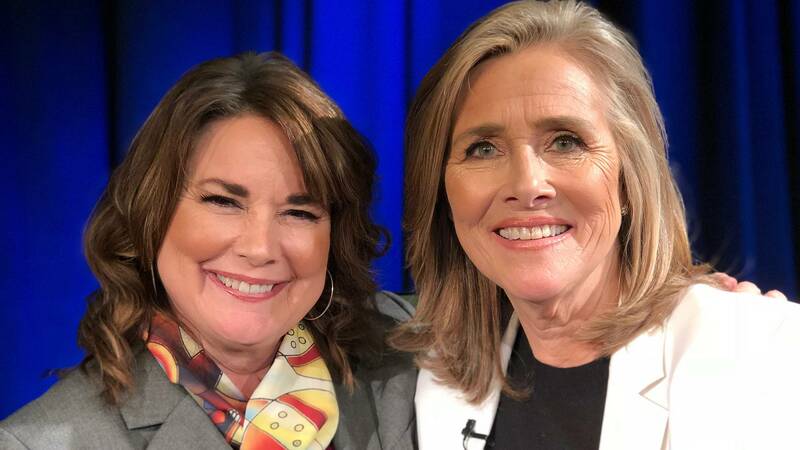 Amarillo's Shanna Peeples, the 2015 National Teacher of the Year, will appear in a segment in Tuesday's finale with host Meredith Vieira. Peeples, a Borger native and former Palo Duro High School English teacher, was part of a 13-member advisory panel who used their collective expertise to establish basic ground rules and minimally influence the final list to break ties and maximize the variety. Peeples — whose first book, Think Like Socrates: Using Questions to Invite Wonder & Empathy into the Classroom, was released in September — has appeared in interview segments in each episode of The Great American Read since its fall kickoff Sept. 11. The grand finale was filmed Sunday in front of a live audience in New York City. Peeples was among such notable attendees as actor Wil Wheaton; authors Diana Gabaldon, Robert McCammon and Amy Tan; journalist Lesley Stahl; literary expert Baratunde Thurston and more. "I got to hang around backstage and meet Aaron Sorkin, Gbenge Akinnagbe (Sorkin wrote the stage adaptation for To Kill A Mockingbird and Akinnagbe stars), and Leslie Stahl," Peeples said. "Meeting Leslie was such a high point for me because she and Dan Rather are idols of mine from my journalism days. She is so gracious and intelligent, even when the sound guy was having trouble finding a way to put a mic on her in her little black dress." Taking part in the Great American Read process "is one of the high points of my life," Peeples said. "I'm so proud to promote the love of reading," she continued. "I'm also proud to promote the Panhandle; people at the taping immediately pegged my accent as 'southern,' and I always corrected them to say, 'No, it's a Texas accent.'" 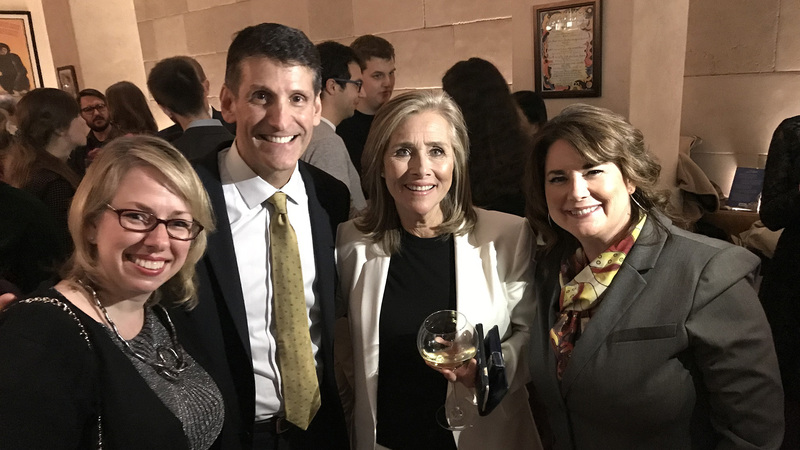 Amarillo's Shanna Peeples, right, took part in the taping of "The Great American Read" grand finale Sunday, then attended an after-party with host Meredith Vieira and executive producers Bob Kirsh and Rebecca Ratliff Cameron. Since its launch in May, the Great American Read initiative has sparked a nationwide call to action for viewers to read as many books on the list as possible, vote on their favorite works of fiction, and share their thoughts and opinions on social media as part of a campaign to celebrate books and reading. Many readers have joined the conversation on social media, with a combined following of more than 200,000 book lovers across Facebook, Instagram and Pinterest. The Great American Read Facebook Book Club has grown to an actively engaged community of nearly 50,000 bibliophiles, and video content related to the series from PBS Digital Studios and weekly episode streams have generated 5.1 million views across PBS platforms, Facebook and YouTube. As of last week, more than 3.8 million votes had been cast before voting closed at 11:59 p.m. PT on Oct. 18. Heading into the final week of voting, PBS revealed the then-current Top 10 books in alphabetical order: Charlotte’s Web, Chronicles of Narnia (series), Gone with the Wind, Harry Potter (series), Jane Eyre, Little Women, Lord of the Rings (series), Outlander (series), Pride and Prejudice, and To Kill a Mockingbird. Peeples also attended an after-party following Sunday's taping, where she met both Tan and Gabaldon. 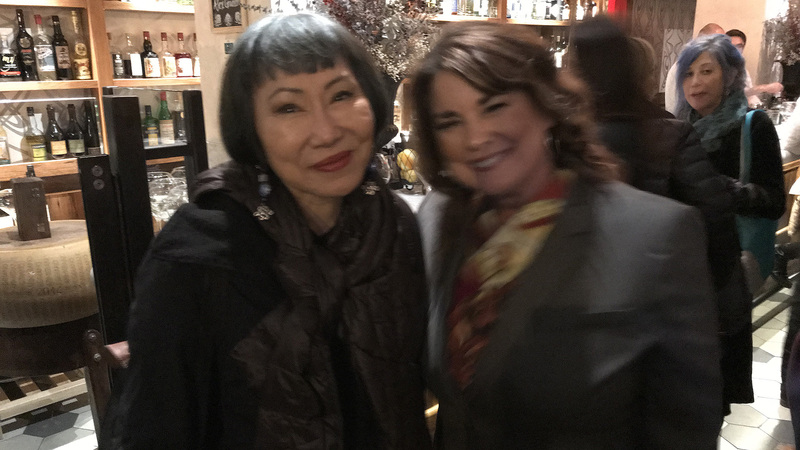 "After being a fan of The Joy Luck Club for so long, it was surreal to meet and talk to Amy Tan. She reminded all of us that the book is 30 years old, which just shows how a book doesn't age," Peeples said. "She's also one of those people who are just effortlessly cool; her hair had electric blue highlights to match her outfit! "And though I've never read the Outlander series, I enjoyed talking with Diana Gabaldon in both the green room before the show and during the after party," Peeples continued. 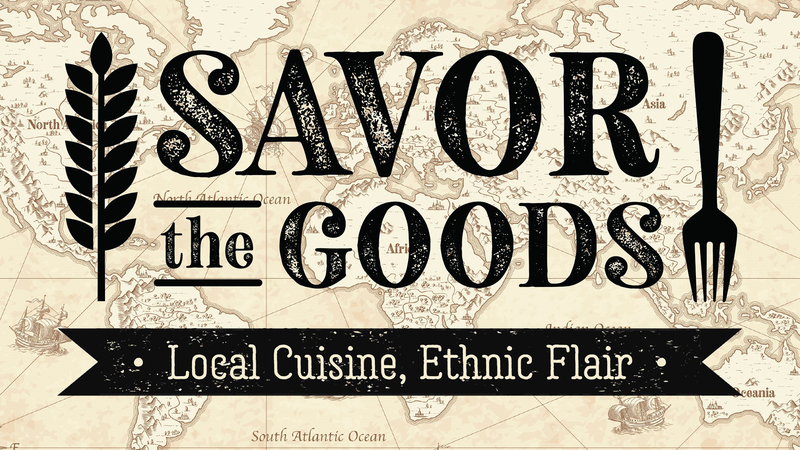 "She told me she'd had to leave a writing conference during the signing to make her flight to New York, but made arrangements for all those waiting for an autograph to send them signed bookplates." Panhandle PBS's Great Panhandle Read list was narrowed to 64 by a panel of representatives from our partners — Amarillo Public Library, Harrington Library Consortium, Amarillo College and Panhandle PBS/FM 90 — then placed into a bracket. Viewers voted via our Facebook page, online and with paper ballots every two weeks beginning in August to narrow the field to one final winner. 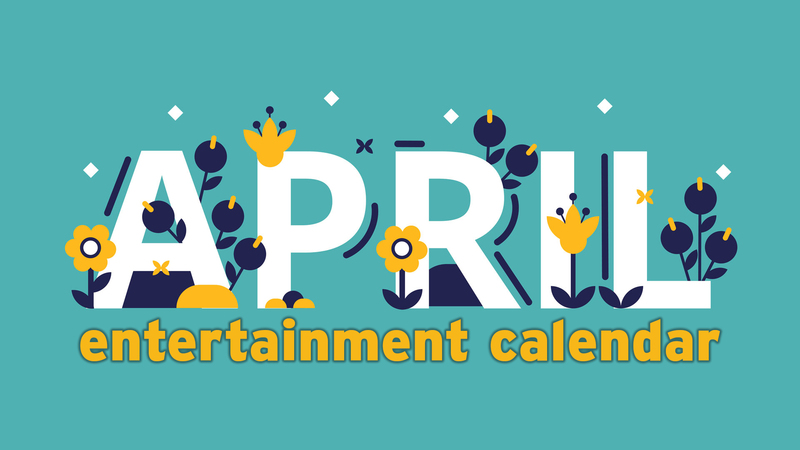 Other local engagement activities have included the new Check Me Out podcast series, a trivia night and book clubs. Local support was provided by Barnes and Noble Booksellers. 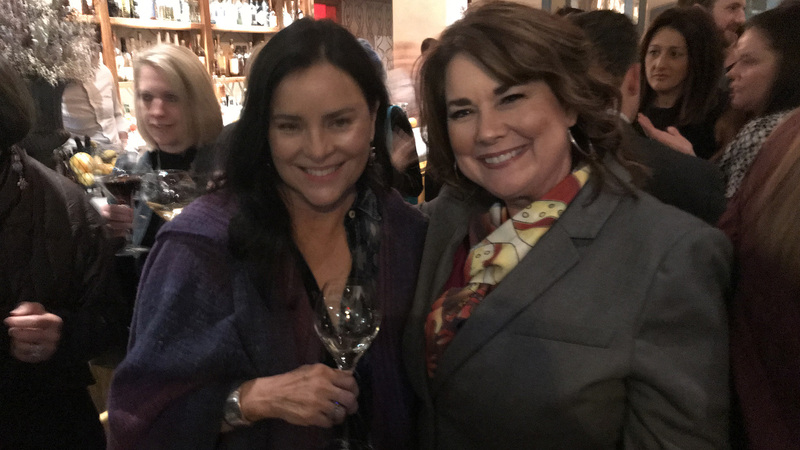 Shanna Peeples met "Outlander" author Diana Gabaldon at an after-party for the taping of "The Great American Read" finale on Sunday in New York City.